Another mysterious blast in Tehran: An Iranian nuclear scientist was killed by a bomb placed on his car by a motorcyclist in Tehran on Wednesday, and a city official blamed Israel for the attack, similar to attacks on nuclear scientists just over a year ago. According to Iranian media reports, the incident, which took place at the Seyed Khandan neighborhood in Northern Tehran, "looks similar to attacks on nuclear scientists in the city," more than one year ago. The semi-official Fars news agency identified the victim as Mostafa Ahmadi Roshan, 32, "an oil professor at Tehran's technical university and nuclear scientist." The report referred to the attack as an act of terror. Roshan was a supervisor at a department at the Natanz uranium enrichment facility in Isfahan province. Tehran's deputy governor was quick to say that Israel was behind the "assassination… aimed at militarizing the (diplomatic) situation, and disrupt the elections in Iran." "The bomb was a magnetic one and the same as the ones previously used for the assassination of the scientists, and the work of the Zionists (Israelis)," Fars quoted Deputy Tehran Governor Safarali Baratloo as saying. Witnesses said that they had seen two people on the motorbike fix the bomb to the car. As well as the person killed in the car, a pedestrian was also killed. Another person in the car was gravely injured, they said. 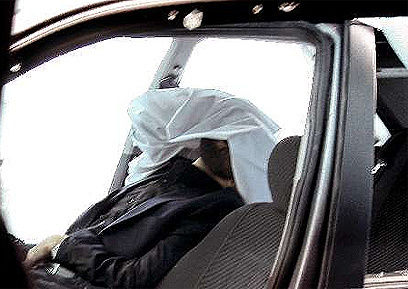 Fars noted that the blast took place "on the second anniversary of the martyrdom of Majid Shahriari," an Iranian nuclear scientist who was killed on January 11, 2010. 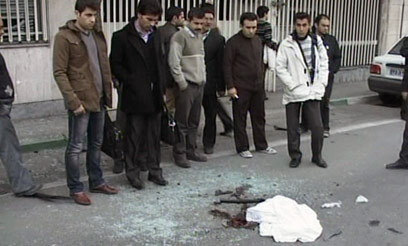 Another Iranian nuclear scientist, Massoud Ali Mohammadi, was also killed in a similar attack in Tehran in January 2010. Iranian officials vowed that the Islamic Republic's nuclear program will forge ahead. Iranian Vice President Mohammad Reza Rahimi denounced what now appears to be a clear-cut hit, saying that "those who claim to be fighting terror have targeted Iranian scientists, but they should know that our scientists are becoming more determined in their efforts everyday." Iran's enemies, he added, "must know that such acts of terror cannot prevent the Islamic Republic's scientific progress." Meanwhile, blogger Richard Silverstein claimed Wednesday that a senior Israeli source "with great political and military experience" told him that the Mossad carried out the hit along with Iranian opposition group the People's Mujahedin of Iran (PMOI). The state run IRNA news agency said that Tehran's parliament denounced the hit, adding that once Rahimi finished his statement, the Iranian lawmakers shouted "Death of Israel," "Death of America" and "Death to the hypocrites" – the latter referring to the PMOI. See all talkbacks "Tehran blast kills nuclear scientist"